The New York based human rights organisation Human Rights Watch has called on the US Government to retain ‘key sanctions’ in order to keep pressure on the Burmese military to reform. 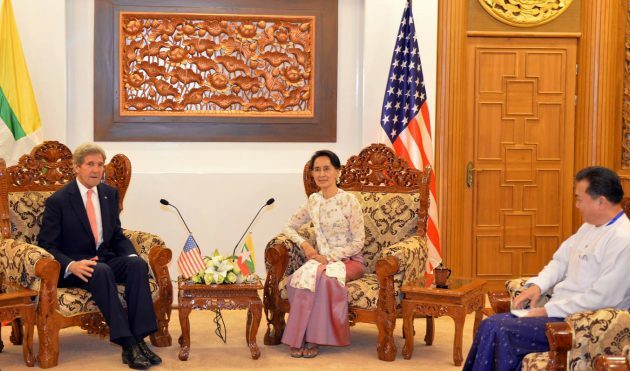 “US sanctions are focused on the Burmese military and its cronies, not the people of Burma,” John Sifton, Asia advocacy director at HRW said in a statement, “The sanctions are crucial for pressing the military to end rights abuses and transfer power to a civilian government. They shouldn’t be fully lifted until democratic reforms are cemented,” Mr Sifton added. Many US Government sanctions have been eased or removed since liberal reforms under the former General U Thein Sein were put into place. Most of the remaining sanctions target Burma’s military, which does not have civilian oversight. These include the Ministry of Defence, and individuals or business interests targeted by the US Department of Treasury’s ‘Specially Designated Nationals’ list.